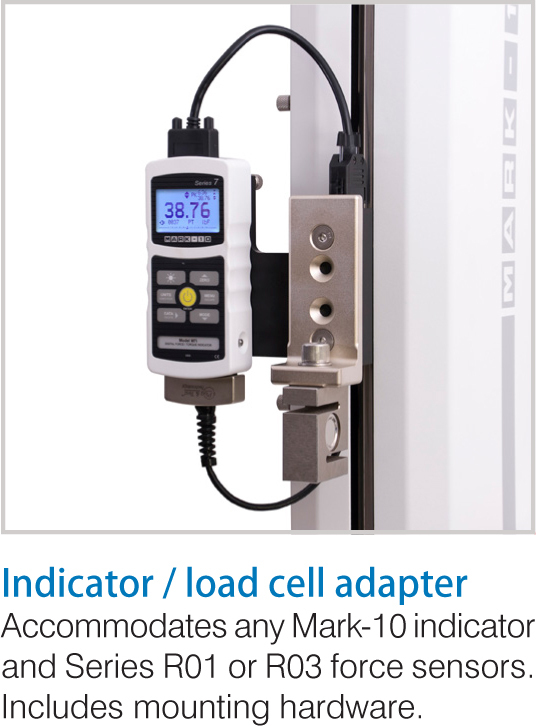 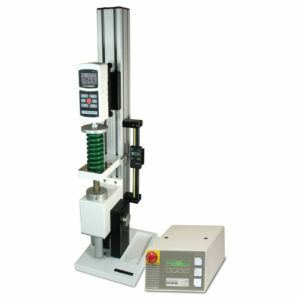 ESM303 from Mark-10 is a high configurable single-column motorized force tester for tension and compression measurement applications up to 300 lbF, with a rugged design suitable for laboratory and production environments. 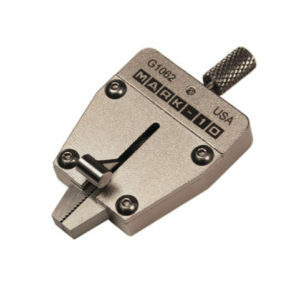 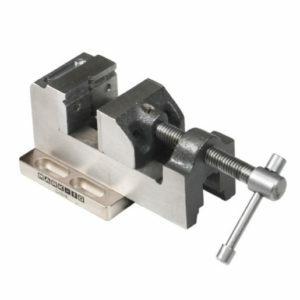 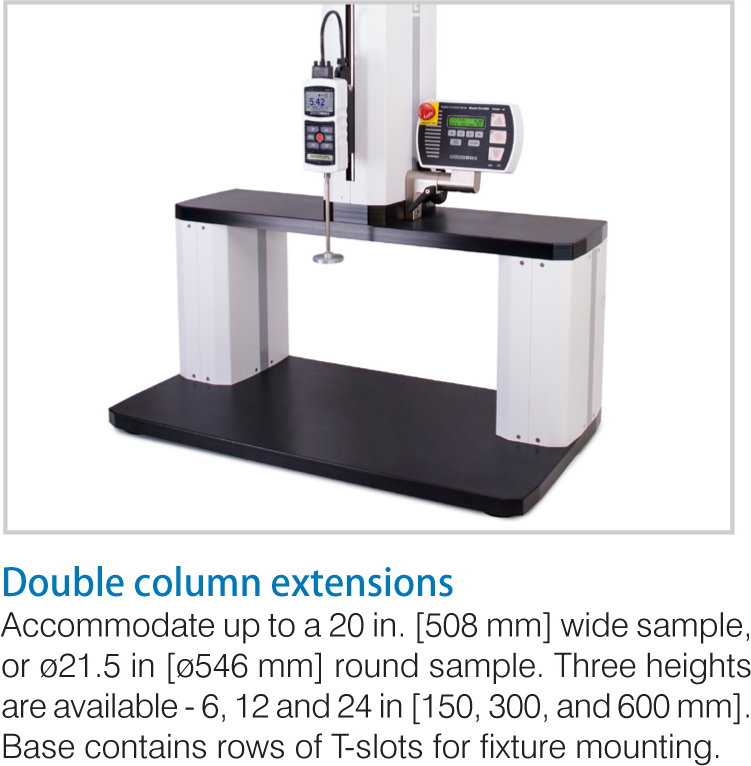 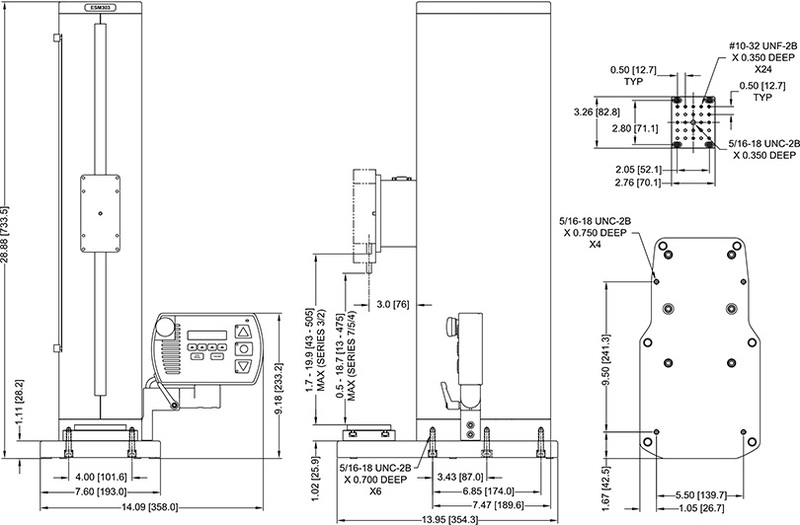 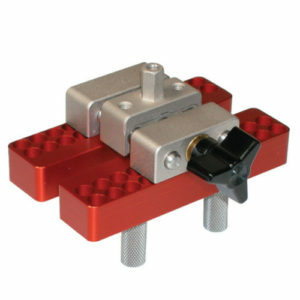 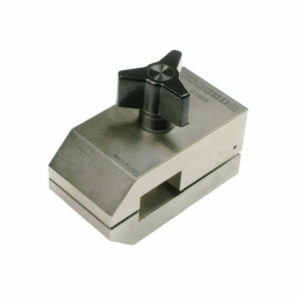 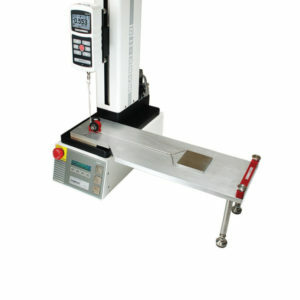 ESM303 makes sample setup and fine positioning a breeze with the available FollowMe force-based positioning function. 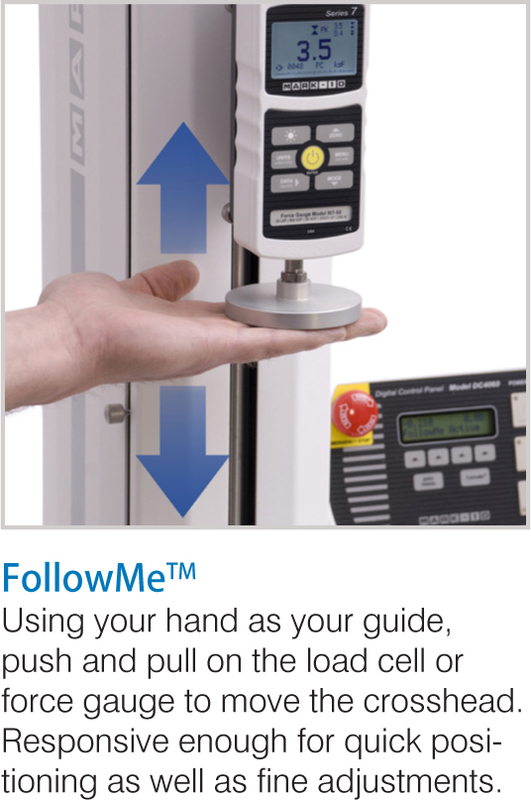 This new function allows the operator to use their hands to push and pull on the force gauge or load cell to move the crosshead at a variable rate of speed. 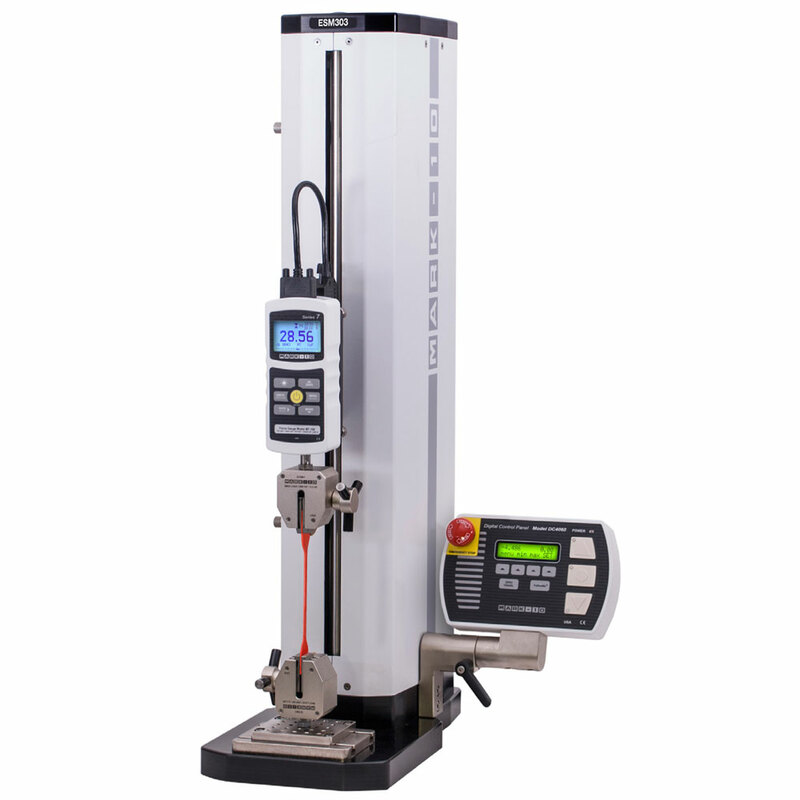 With generous travel, clearance and depth dimensions, a wide range of tension and compression tests can be performed including break testing, cycling, limit testing to a load or distance, load holding, elongation testing, tensile testing, compression testing, and more. 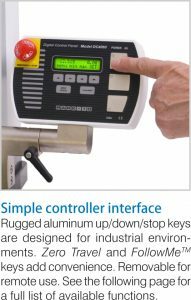 Satisfy various test methods through an easy-to-use menu, allowing the configuration of test speed, force and distance limits, cycling, preload, and many other functions, all protected by a password. 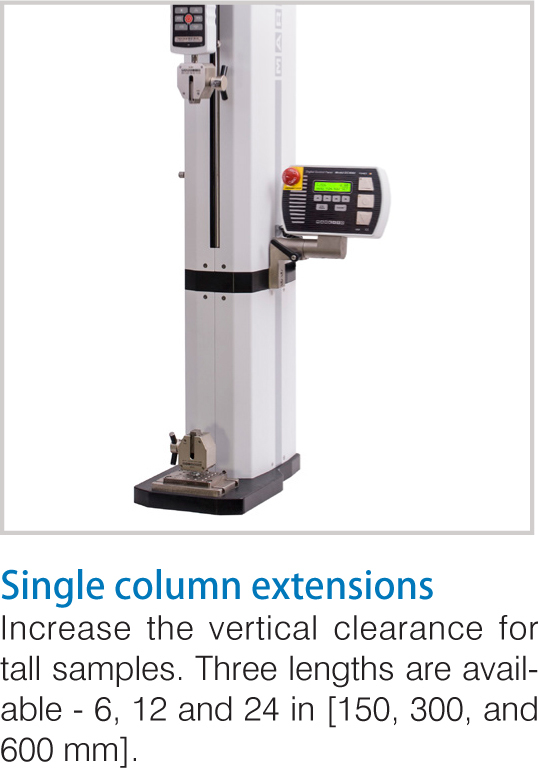 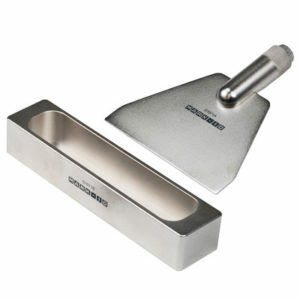 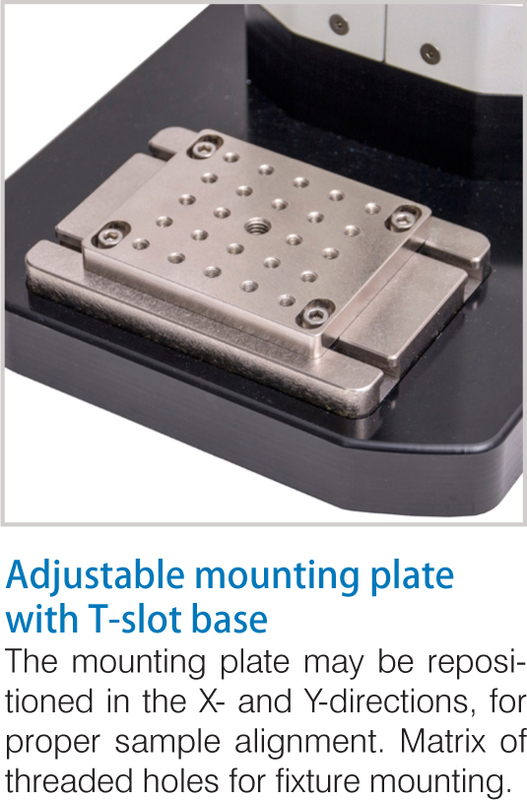 Save up to 50 profiles to accommodate a range of test methods. 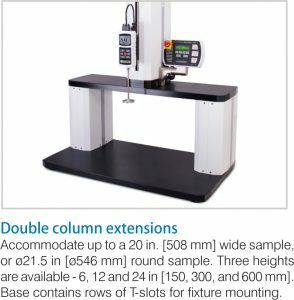 When the ESM303’s clearance is insufficient for the application, its modular mechanical design allows for single and double column extensions. 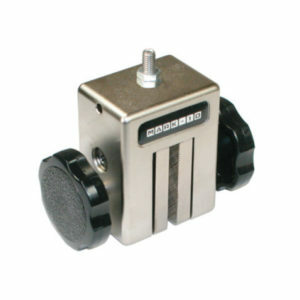 Modularity extends to the controller functions as well. 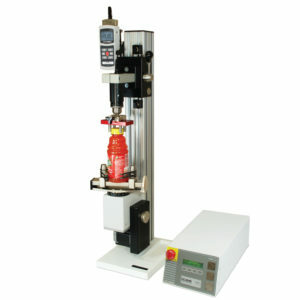 Individual functions, such as travel measurement, cycling load holding, etc. may be purchased either upfront or enabled in the field through an activation code. 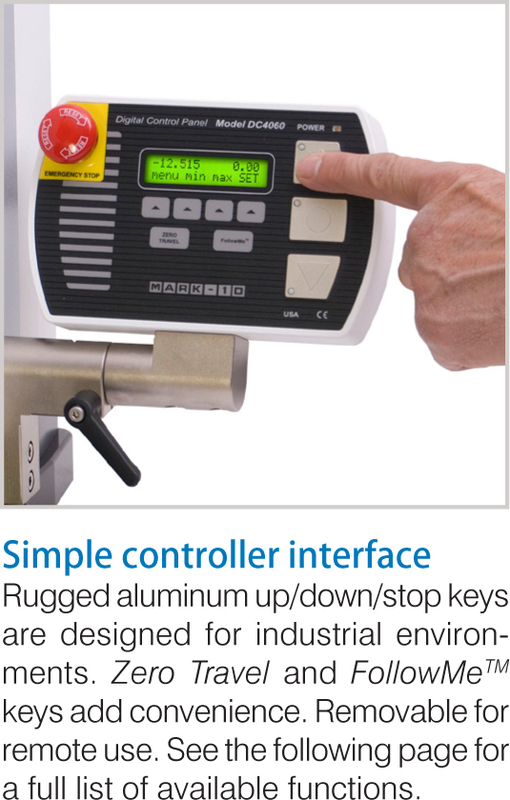 This a-la-carte platform allows for custom configuration as appropriate for the application and budget. 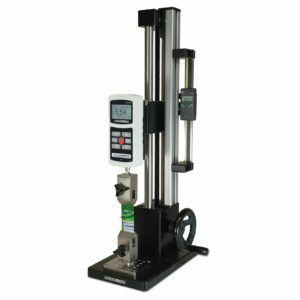 Force and travel data can be output to a PC for graphing and analysis using MESUR gauge software. 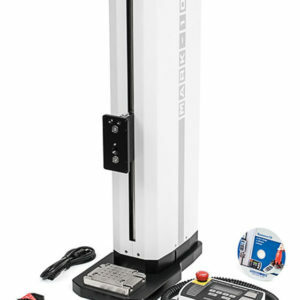 Or, fully control the stand by a PC through a custom-written program with ASCII communication. 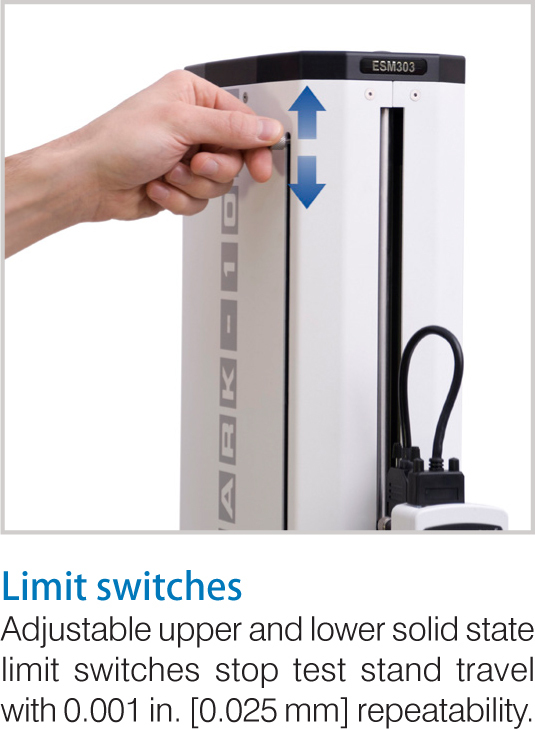 Complete options package AFCOMP Includes all functions listed above, plus 09-1252 interface cable and 09-1158 USB cable.